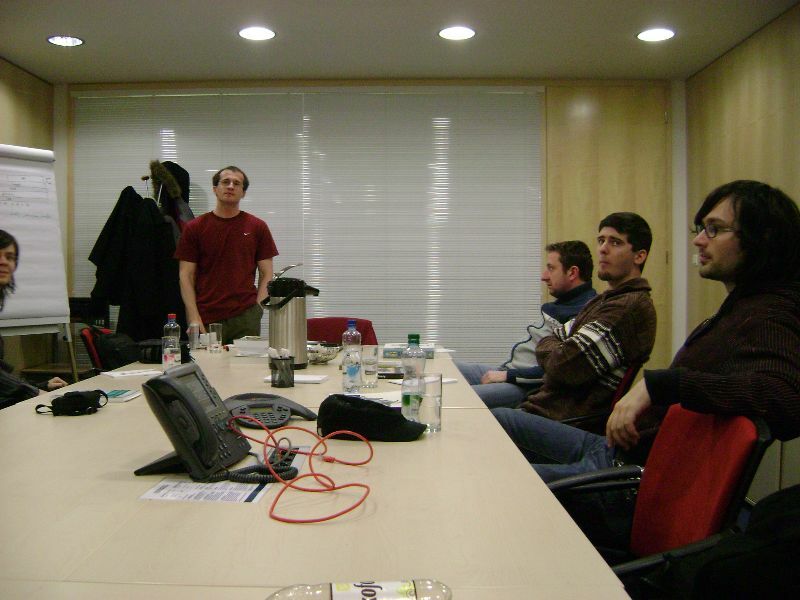 On Friday, 23th of January, a developer´s meeting has taken place. We have been discussing : technology, the work organization and most of all the future development of our Site and applications. We have spent one whole day in a heated debate and true brainstorming. Our project leader, Mirco (the standing one, in the middle of the Photo), held the reins in his hands. In the Photo there are other stable team members visible : a web designer Subseth and a core developer Robo.